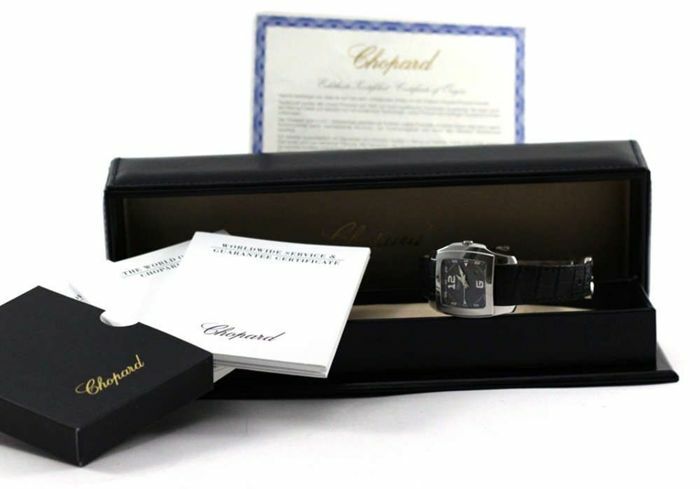 Chopard Two O Ten Quartz 128464-3001. 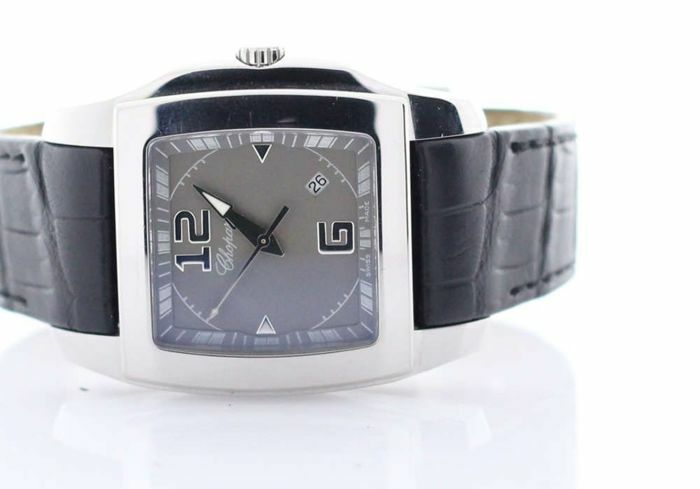 Chopard battery-operated quartz movement with months of power reserve and date function. 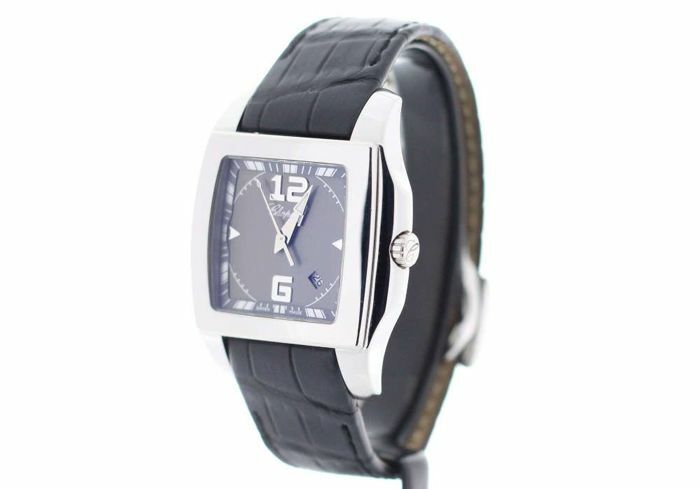 Grey dial with arrow-shaped hands, date at 5 o'clock and Arabic numeral and index hour markers. 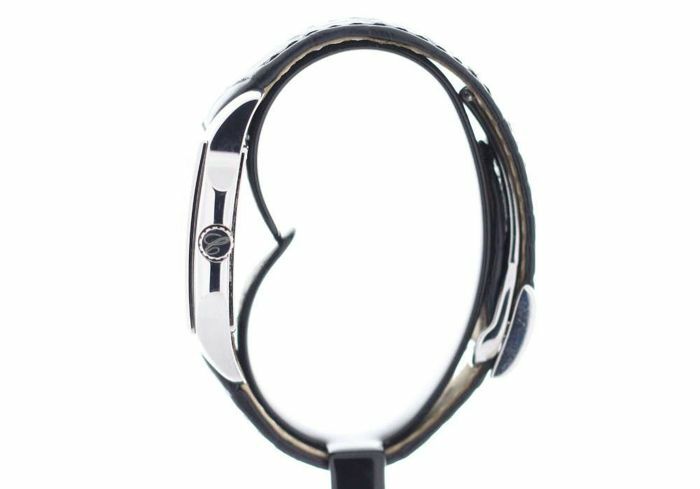 Case made of highly polished stainless steel, has a solid case back, and a diameter of 34.8 mm. 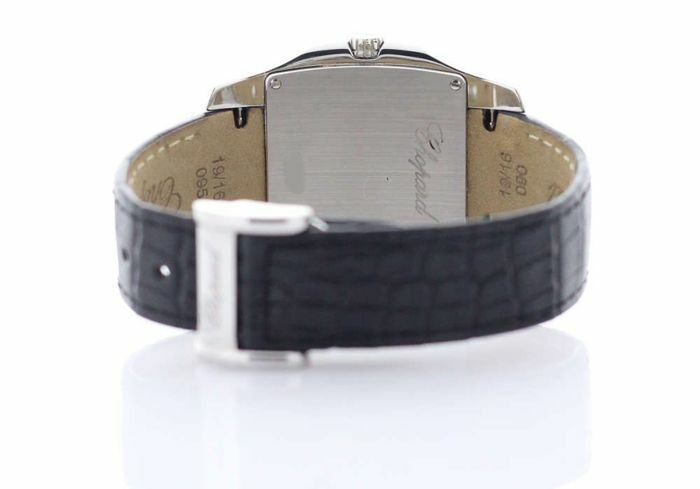 Watch is adjusted via a screw-down crown and features a beautiful, durable black crocodile leather strap with a folding clasp. 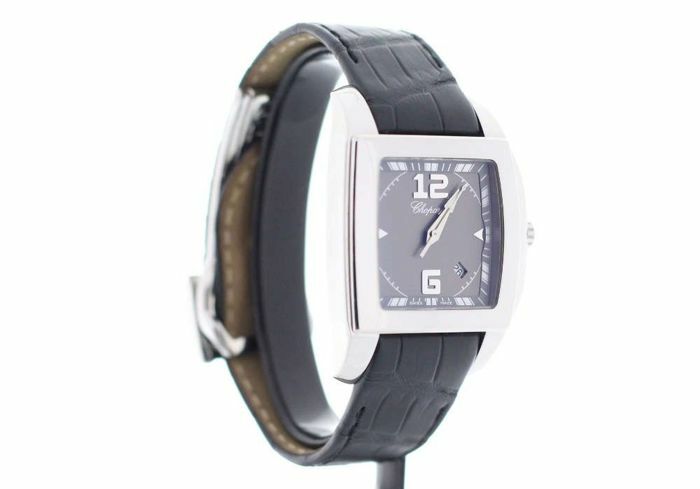 Completely new and unused watch. Comes with box, full international warranty and manual. 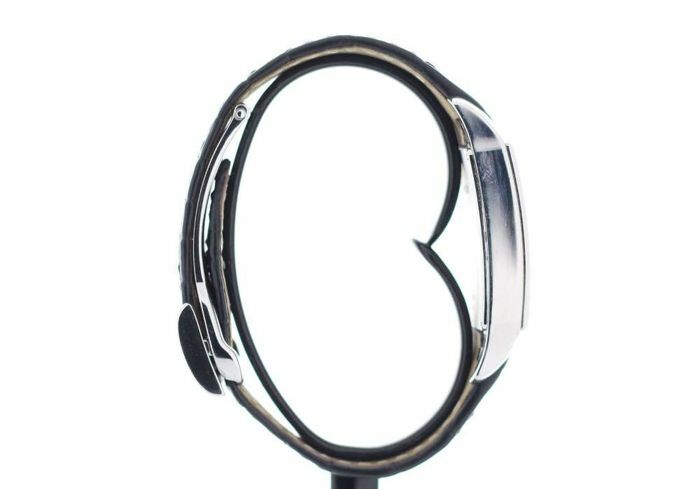 Your watch will be shipped using insured door-to-door shipping. Documents are not enough correct. Box isn’t from limited edition watch. Venditore serio e professionale. 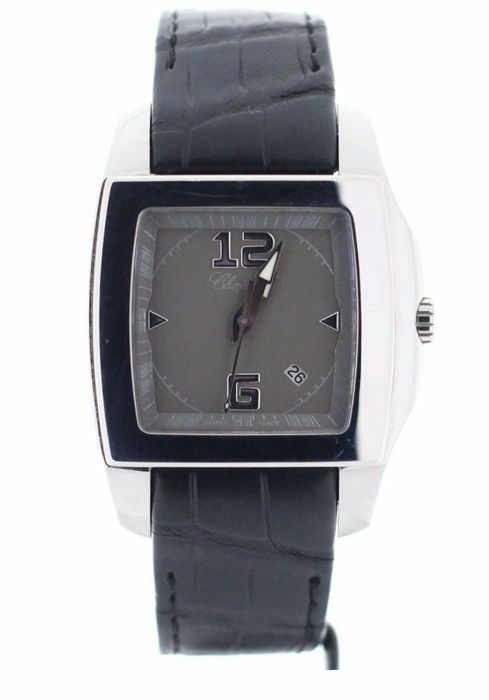 Orologio TOP!!!!! Llega con retraso por control lista ONU. Solo un apellido común. Para evitar retrasos, recomiendo usar aplicacion DHL para crear envío y efectuar así los filtros previos. Llega en buenas condiciones. Envoi très rapide et très bien emballé. Expérience 100% positive.